HomeBlogDoes a Home Warranty Cover Air Conditioning? For many homes in the United States, each summer, air conditioners aren’t a luxury: they’re a necessity for comfort and health. That’s why it’s so troubling when an air conditioning unit fails, and as luck would have it, they often go out at the peak of summer heat when homeowners need them most. Fortunately, home warranty coverage can help you avoid serious trouble with your air conditioning unit and help you get back to comfort. Home warranties cover major systems and certain appliances in the home, offering repair or replacement of covered components. Air conditioning is typically included in home warranty coverage, though some companies require additional or separate contracts to add units to the warranty. Is Air Conditioning Covered by Home Warranty? Good news: yes, Choice Home Warranty covers air conditioning, provided your unit has been properly maintained according to manufacturer instructions. Choice Home Warranty covers all components and parts for units below 13 SEER with repair or replacement. In the summer, it’s especially reassuring to know that your warranty company is there to make sure won’t be left in the heat! With the assurance that your air conditioner is covered, the next big question is whether your home warranty will repair or replace your air conditioning unit. Your air conditioner technician will always try to repair your air conditioning unit first, if possible. Any time an HVAC unit can be repaired, it will be. But if your HVAC unit is beyond repair, your warranty also includes the installation of a replacement unit. Note: most new HVAC units come with an original manufacturer’s warranty, so you’ll always be covered if your new unit has trouble. If your air conditioner is struggling, not working, or needs service, call the Choice Home Warranty claims department 24/7/365 at 1-888-531-5403, or submit your claim online. You will be required to pay a $60 trade service fee for the claim directly to the technician. The technician will assess your air conditioning problem and take the necessary steps to repair or replace your HVAC unit so that it is in good working order and your home can cool down to a comfortable temperature. Air conditioning repair or replacement isn’t just uncomfortable and sweaty: it can also be a costly surprise for homeowners. 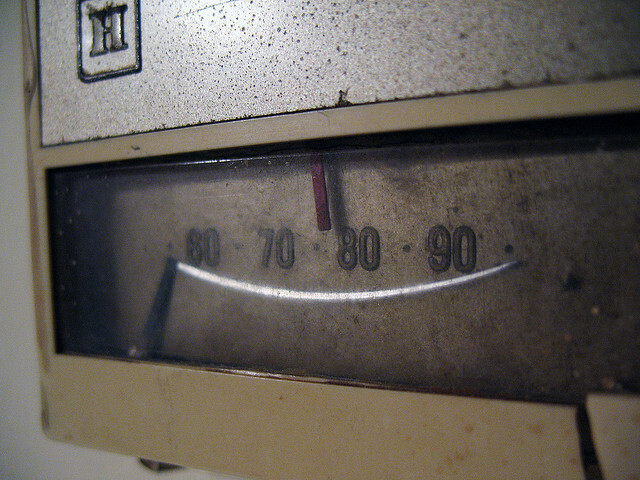 Most homeowners spend between $382 and $570 to repair an air conditioning unit. Some spend up to $900, even before replacement. If your air conditioning unit needs to be replaced, the average installation cost is between $4,852 and $6,752, with some spending up to $9,999. The few hundred dollars you’ll spend on a home warranty and service call fee is significantly more affordable than the potential thousands you may have to spend to replace a failing air conditioning unit, and may also be a good choice for saving on expensive repairs as well. Your air conditioner is designed to work hard to keep your home cool, but it needs your help: it’s up to you to properly maintain your air conditioning system. Performing proper maintenance ensures that your warranty will cover your air conditioning unit, and it will also help keep your entire air conditioning system in good working order so that you can avoid air conditioning problems that can leave you uncomfortable in the heat before technicians are able to complete repairs. Replace your filters: Routinely replacing or cleaning your filters keeps your air conditioner running efficiently. If filters become clogged or dirty, they’ll block normal airflow and require your system to work harder than it needs to. Blocking airflow can also carry dirt into your unit’s evaporator coil, which reduces its capacity to absorb heat. You should replace your air conditioner filter once a month, or twice a month during the cooling season. Homes with constant air conditioning use, dusty conditions, or pets may require more frequent cleaning or replacement. Clean your evaporator coil: Even with a clean filter, your air conditioner’s evaporator coil and condenser coil will still collect dirt. It’s important that you check these coils yearly and clean them as needed. It also helps to minimize dirt and debris near your condenser unit, removing foliage and leaves to allow for adequate airflow. Straighten and clean coil fins: Coil fins are easily bent and may block airflow. With a fin comb tool, you can clean and comb your fins back into working condition. Cover your outdoor unit in the winter: When your air conditioning unit is not in use, protect it from winter weather and debris with a cover. Clear registers: Allow air to flow freely through your air conditioning system by making sure that your registers are not blocked by any obstructions like furniture or drapes. Clean duct work: If your duct work has debris, insects, or other blockages, get it professionally cleaned to make your system more efficient and keep your home’s air clean. Refer to your manufacturer’s maintenance guide for more details on how you can maintain your home’s specific air conditioning unit.